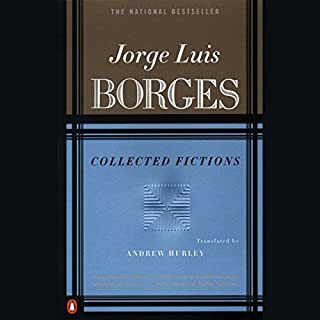 From his 1935 debut with "The Universal History of Iniquity", through his immensely influential collections Ficciones and The Aleph, these enigmatic, elaborate, imaginative inventions display Borges' talent for turning fiction on its head by playing with form and genre and toying with language. Borges is the sorcerer supremacy of the surreal, a magi of the metaphysical and mystic. His flowing, circuitous prose does to the mind what Rumi does to the soul. The George Guidall channels his spirit altogether.